Just in time for Halloween, we have a sneak peek from The Fragile Things (Part I), the horror novel by V. Shaw. At seventeen, Jennifer should have the world at her feet. Instead, she’s an ex-heroin addict living with her boyfriend and former dealer. Shunned by her family, she dreams of something greater than she’s been given. Ebony has moved in across the street. She’s just lost the one person in her existence to cancer. She’s also a centuries-old vampire, struggling to cope with murderous outbursts and the desire to be something more. When these two lost souls meet, an unusual friendship begins. The Fragile Things is a horror serial about friendship, hope, survival, and what it truly means to be human. 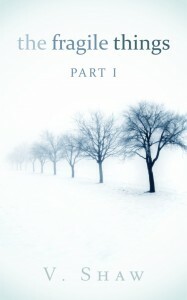 The Fragile Things (Part I) is available through Amazon.com and Amazon UK. IU readers vote now to choose the next flash fiction star. Who will it be? All our winners will be included in the next edition of the IU Flash Fiction Anthology. Check out this week’s entries here. Vote for your favorite entry, then use those share buttons at the bottom of the post to spread the word. Support your fellow writers and participate in this week’s voting, then share the link to let everyone know the vote is on. 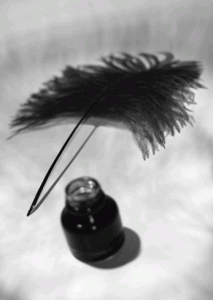 Which author do you think penned the best flash fiction story this week? Tomoson was created because there needed to be a better way of managing product promotions with bloggers. The process was always so long, manual, and time consuming. Tomoson is the fast and efficient way to communicate with all your promotional bloggers or find new ones to review products.